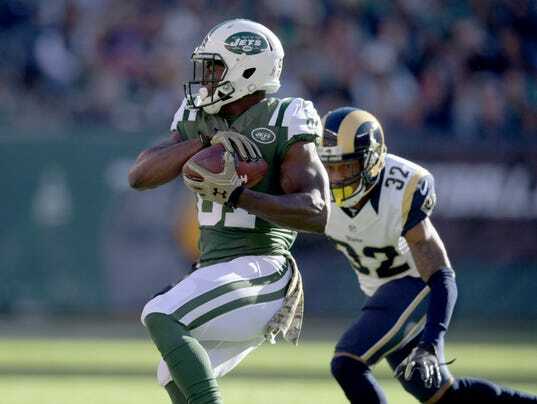 LOS ANGELES (AP) — Los Angeles Rams cornerback Troy Hill will be inactive for Sunday’s game against Miami after his arrest early Saturday morning. TMZ reports Hill was arrested on suspicion of driving under the influence of alcohol after a crash on a Los Angeles-area freeway. Los Angeles County Sheriff’s Department records indicate Hill was arrested at 8:15 a.m. and released from custody in Van Nuys five hours later on $15,000 bail. He has a preliminary court date Dec. 14. The Rams acknowledged an “incident” involving Hill in a brief statement, but called it an “ongoing legal matter” and provided no more details. Hill has been a surprising contributor to the Los Angeles defense this season, ranking fourth on the team with 38 tackles. He started four games at cornerback in place of E.J. Gaines or Trumaine Johnson. The 25-year-old Hill graduated from high school in Ventura County, near the Rams’ new training complex in Thousand Oaks. Baseball Is a Frustrating Sport. Sometimes, the Players Need to Vent. Margus Hunt had the game of his life Sunday. But he isn&apos;t satisfied.